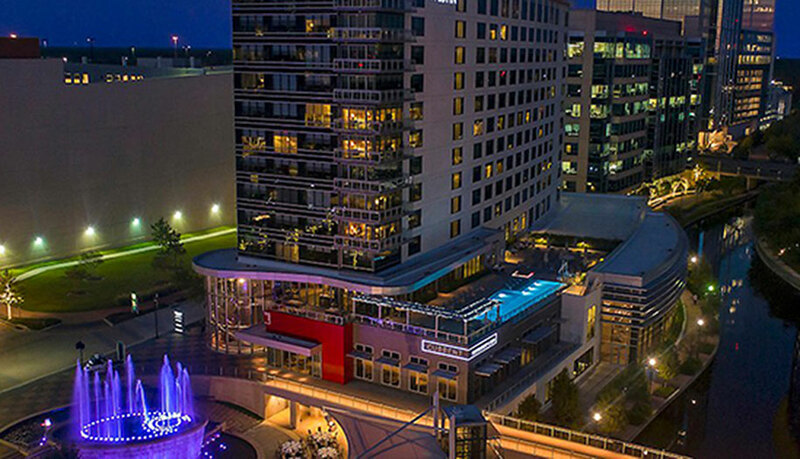 In the heart of the business district of The Woodlands, this Westin hotel is located on the Waterway, adjacent to Waterway Square. The hotel offers 302 guest rooms and suites and is in close proximity to upscale shopping, dining, and entertainment options offered at the Market Street and Town Center areas and the Cynthia Woods Mitchell Pavilion. 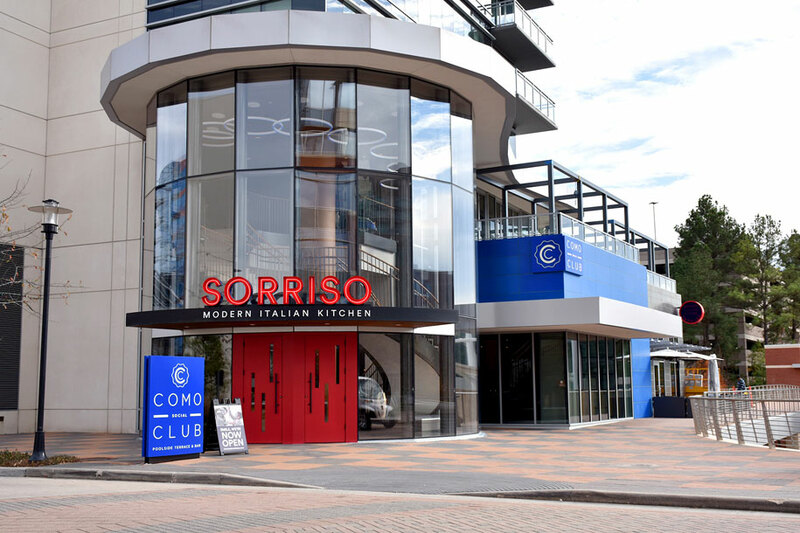 The hotel also has a pool and fitness center and food and beverage venues including two newly updated venues; Sorriso and the Como Social Club Poolside Terrace + Bar. 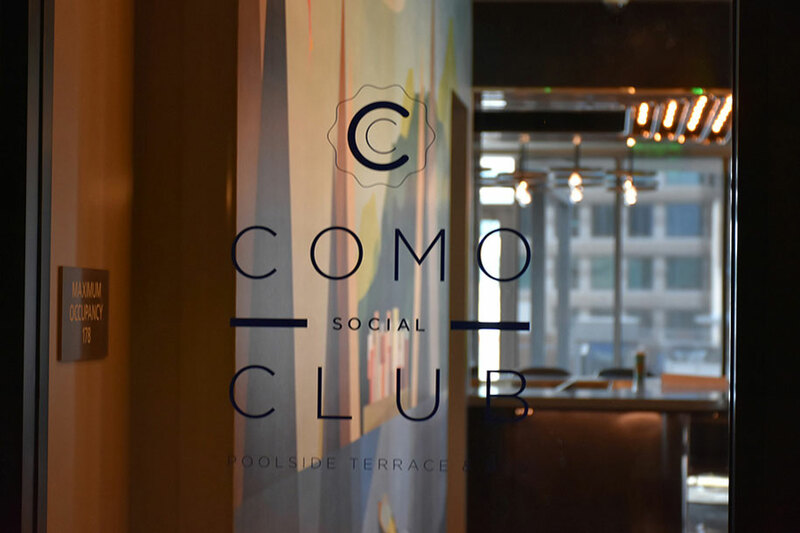 After initially developing the signage and branding program for the hotel, D|G recently worked with The Woodlands Development Company to rebrand the restaurant and pool bar both on the exterior and interior of the hotel. 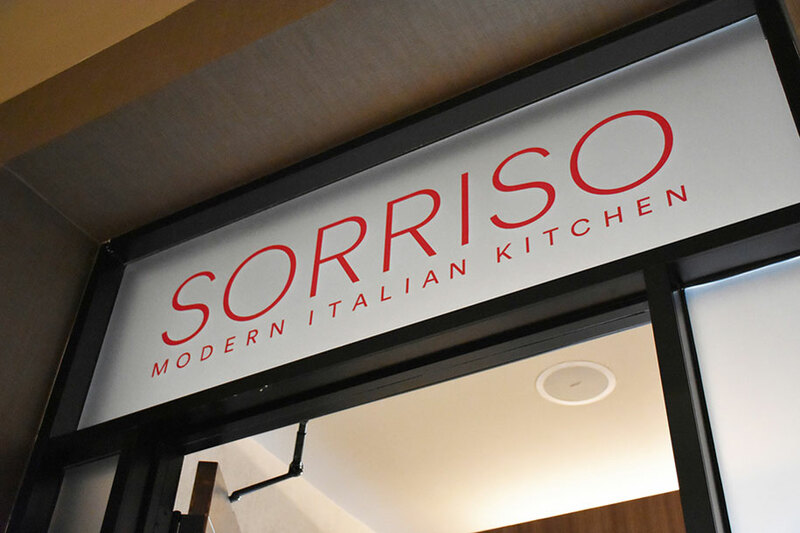 D|G Studios’ design for Sorriso gives a nod to the charm of family-style dining, while still reflecting the modern elegance and character of this Italian eatery. 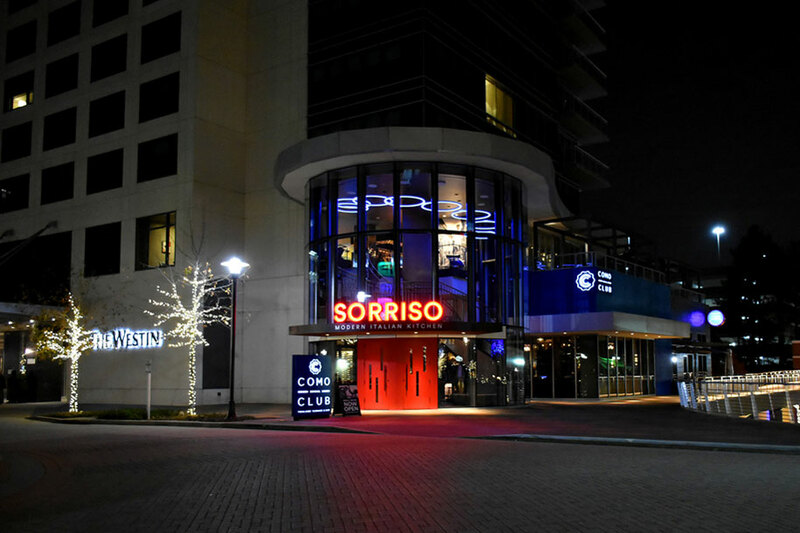 The eye-catching signage interprets classic exposed neon using LED technology offering all the curb-appeal without the maintenance or energy issues. 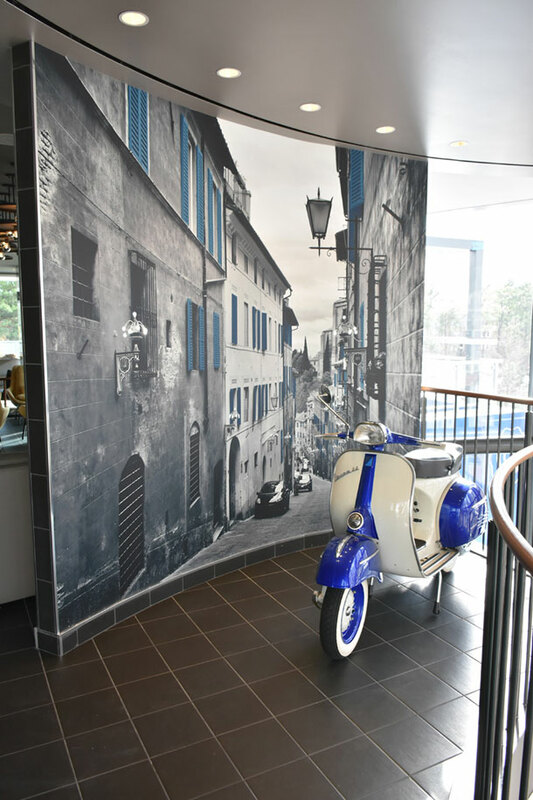 The supergraphic backdrop, inside the restaurant, allows for a fun "you are in Italy" photo opportunity complete with a Vespa.